Do all know how much I love to recommend the Brother 6000i as a great starter sewing machine? I recommend it at least once a week to people interested in giving machine sewing a try, but aren't sure if they want to commit to a more expensive machine. So, I was absolutely thrilled to share a review of this very machine by Shannon from Little Kids Grow on Sewistry this week. 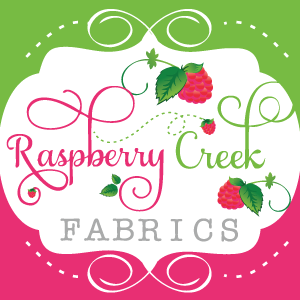 I was especially excited because Shannon is no beginner she creates amazing outfits for her kids and even owns her own pattern company called Peaches and Peanuts. 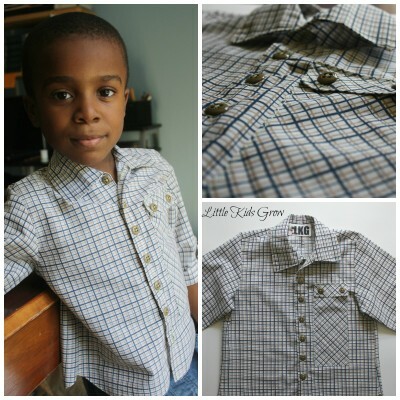 And she even made this classy buttondown shirt. Look at all those button holes! The shirt pattern is her own Jack & Jill Pattern. I love patterns that you can get a lot of use out of! 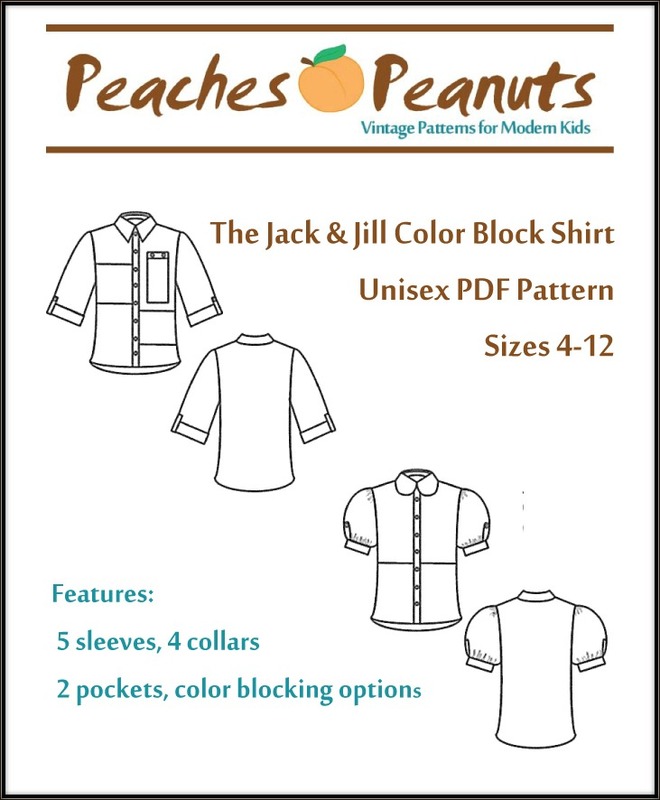 The Jack and Jill pattern comes with lots of options for girls and boys and is sized all the way to age 12!